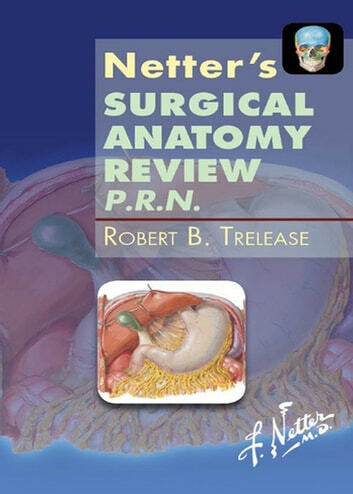 Netter’s Surgical Anatomy Review P.R.N., by Robert B. Trelease, makes it easy to visualize the anatomy that underlies the procedures and clinical conditions you see during a surgical residency or clerkship. Vibrant, detailed artwork by preeminent medical illustrator Frank H. Netter, MD illuminates each structure and its clinical relevance. A compact, portable format enables you to carry and consult the content anywhere "as needed." Customers have been asking for a "baby Netter" or "little Netter"…and here it is! Netter. It's how you know. Visualize anatomical structures clearly with the aid of detailed artwork by preeminent medical illustrator Frank H. Netter, MD. Understand the clinical implications quickly by scanning concise, bulleted explanations. 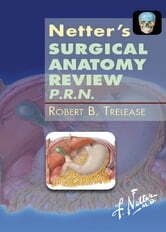 Carry and consult the book anywhere "as needed" thanks to the book's compact, portable format.